Plyenz is a responsive management template for all devices. Developed with Bootstrap 4 infrastructure and LESS support. Validated, developed in W3C standarts in HTML5 and CSS3. 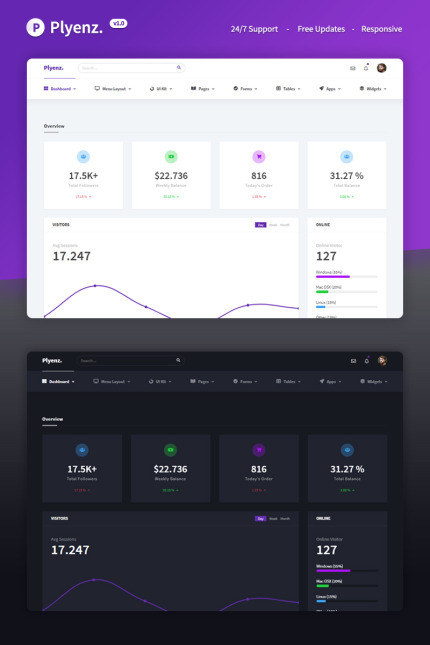 Plyenz - CRM, CMS, management panel, support panel, e-commerce panel, fitness & sports, crypto money panel, web application can be used in projects such as. With a large number of ready-made components, you can quickly create a structure.